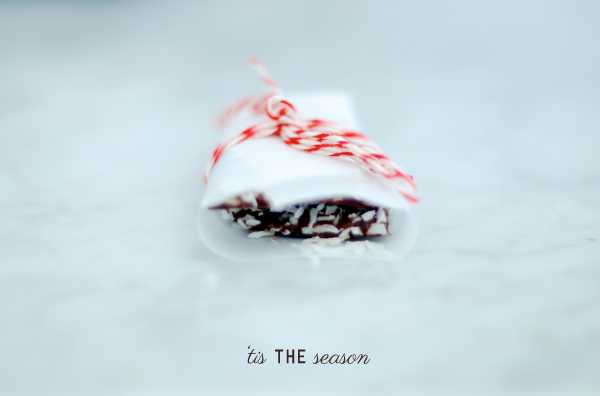 I'm very excited to share with you guys one of my favorite gift idea this year: pretty dark chocolate holiday bark. Check out all the photos and also how to make it today over at The Honest Company - where I'm guest blogging this week! You'll love this fun chocolate bark recipe! It's full of healthy cacao (antioxidant), contains no dairy and is topped with dried fruits and nuts (fiber and protein)! It's gorgeous and you'll whole family will love this beautiful chocolate bark. Add peppermint candy or coconut for a unique twist as well. The best part about this is that it looks super hard to me and super gourmet, but its so so simple to make. Oh and it's a healthy option! Enjoy & Happiest Healthiest Holidays. Posted in Dessert, Guest Bloggers, Snack, Vegan Food, Gift and tagged with holiday gift, chocolate, dark chocolate, trail mix, dark chocolate bark, chocolate bark, vegan snack, vegan dessert, holiday dessert. December 19, 2013 by Juli Novotny.